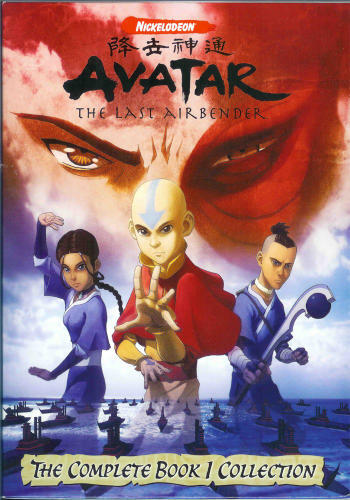 Avatar: The Last Airbender | Curioser and Curioser! Test drive: It became the favorite show of both my 6-year-old boy and my 8-year-old girl, who continued watching it over and over, for many years since. When my wife and I began watching it, it became the show we’d all watch together every evening. If you haven’t watched this one, you should definitely begin here! How good is it? Don’t let the fact that this is an animated series put you off: This show has better writing than most live-action series, and it is possibly the best-written show that’s ever been done in the fantasy genre. Just how good is it? Do you have a family member who cares only so much for fantasy, and not at all for cartoons? Well, that would be my wife, and she made me promise not to watch too many episodes ahead. In short, I can’t recommend this show enough without becoming a bore. The one bad thing about it is that it ends. How dare they! We HEART this series. Have you watched Legend of Korra yet? We are going to watch Book 2 as soon as it becomes available on Amazon Streaming. As with the first series, this is slow to get into the real deep stuff, i.e. Zuko’s mother/father issues, Aang’s fear of failing.